Available in 3 sizes, 150mm, 170mm and 180mm high. 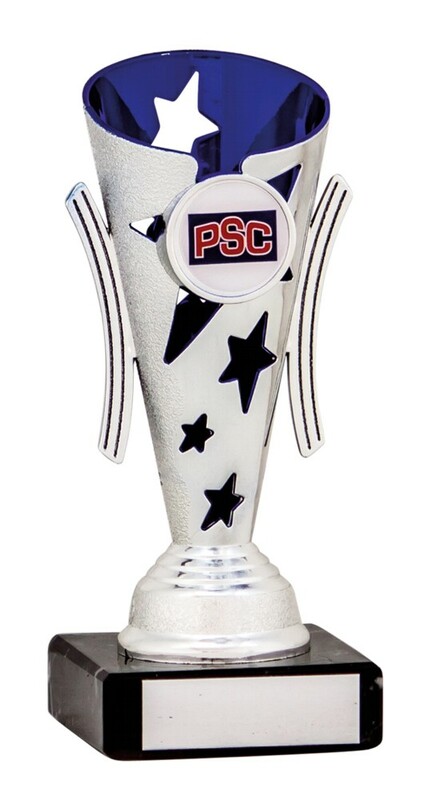 Silver and blue cup with star cut outs and a centre holder mounted onto a heavy black marble base. We have 8 colour combinations of this design for you to choose from within our shop!